Cattywampus Puppet Council utilizes community-based theatre, parades, and participatory workshops to build power and creativity in community and fuel justice and liberation in the Southeast. Cattywampus is a registered non-profit in the state of Tennessee and fiscally sponsored by Community Shares. Cattywampus Puppet Council began in the summer of 2014 as a papier mache puppet making collaboration between Knoxville-based artists, Rachel Milford and Shelagh Leutwiler. 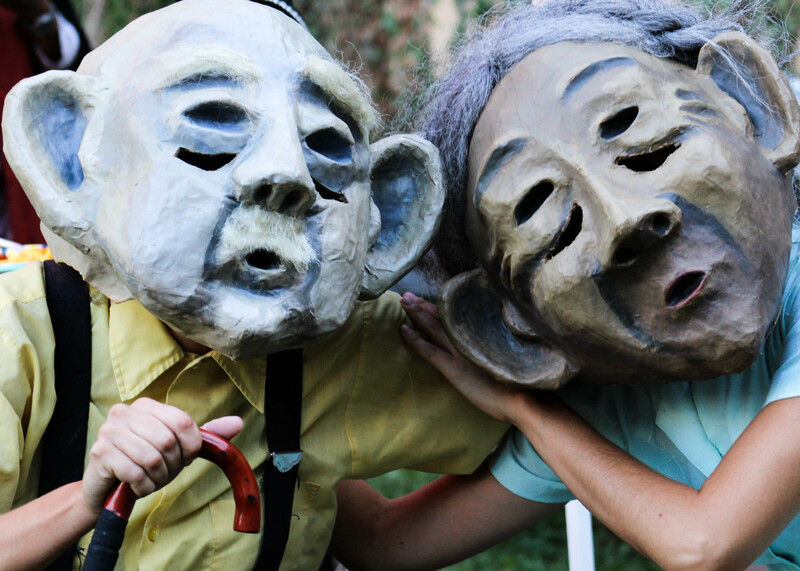 After making several large puppet heads together and taking them out around the streets of Knoxville, Cattywampus was commissioned in the fall of 2014 to create a full length show for the the Dogwood Arts Festival. Multiple artists and community members joined in the process of creating this show, playing music, puppeteering, and assisting in the making of sets, puppets, and other props. Through this process, a collaborative team emerged, and the Cattywampus Puppet Council was born. Since this first collaborative show, Cattywampus Puppet Council has gone on to create a variety of performances for all ages, including its 2017 full-length theater piece What the Water Tells Me, with Knoxville hip-hop nonprofit Good Guy Collective. Cattywampus also founded Knoxville’s first community arts giant puppet parade, the Appalachian Puppet Pageant, now in its 3rd year. The Council consists of an ever rotating collective of artists, performers, dancers, musicians, and other whimsy-makers. To stay updated about future performances, events, and more, sign up for the Cattywampus Mailing List.